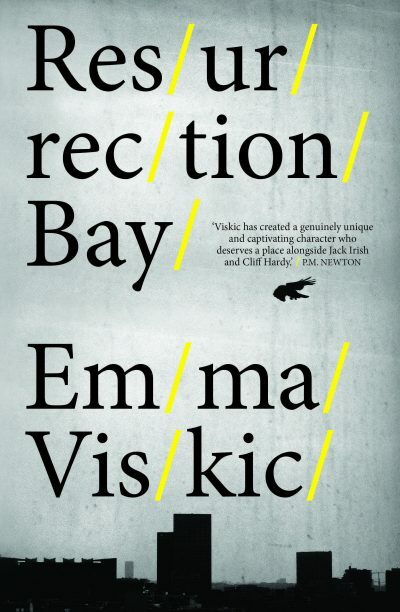 Emma Viskic has been longlisted in two categories in the UK Crime Writers’ Association (CWA) 2018 Dagger awards for her novel Resurrection Bay (Echo). Viskic’s novel is one of 10 books longlisted for the Gold Dagger award for the best crime novel of the year, and garnered a longlisting for the John Creasey New Blood Dagger for the best crime novel by a first-time author. As previously reported, Resurrection Bay won the 2016 Ned Kelly Award for best first novel, and also won in several categories at the 2016 Davitt Awards. Australian author Sherryl Clark was also longlisted for the Debut Dagger award for her unpublished manuscript ‘Trust Me, I’m Dead’. Although Clark is best known for her writing for children and young adults, ‘Trust Me, I’m Dead’ is an adult murder mystery that follows a 43-year-old woman who returns to Melbourne in the wake of the murder of her drug-addict brother, and is quickly entangled in the mystery surrounding his life and death. The historical category features a crime novel begun by New Zealand crime writer Ngaio Marsh during World War II and subsequently completed by London-based writer Stella Duffy, who spent her childhood in New Zealand (Money in the Morgue, HarperCollins). The Dagger awards are open to an author of any nationality, for a book first published in the UK in English during the judging period. The shortlists will be announced in July, and the winners will be announced at an awards dinner in London on 25 October. To see the full longlists, see the website.